UCO Bank, a Government of India Enterprise, invites applications from interested candidates who are retired/VRS optee not below the rank of a Manager (MMGS II)with minimum 20 years of service from any Nationalized Bank/ SBI / Pvt. Bank. for appointment as Financial Literacy Counsellor on contract basis at Barpeta district of Assam. Age : The age of the candidate as on 31-10-2018 should not be more than 62 years. Pay: A Consolidated remuneration of Rs. 25000/- including HA/TA (conveyance expenses) will be paid for hiring services of counsellors for each completed calendar month, of which Rs 5000/- per month towards Mobile ,conveyance etc) for conducting Financial Literacy Camps, subject to the condition that minimum 15 days have to be spent in conducting Financial literacy camp at villages in the district, failing which conveyance expenses @ Rs.200/- per day for actual numbers of days visit to villages will be paid. Application Fee: The application fee/postages would be: Rs.400/-. 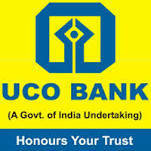 The application fee will be by way of Demand Draft drawn in favour of UCO Bank, payable at Guwahati. How to apply: The model of application format is annexed at Annexure-C with the advertisement itself. The last date of the submission of application would be 26-03-2019.